Lyudmila Malinina’s voice trembled as she described the secret funeral she witnessed on a recent night in her small town of Sudislavsky in the Kostroma region of central Russia. At about 8pm, a truck parked at the cemetery a few yards away from her wooden house. The truck’s headlights stayed on to illuminate the ground for several men to hurriedly dig the grave, “as if they were thieves hiding something”, Luydmila says. More neighbours popped out of their windows and doors to watch and discuss the strange scene, wondering why anybody would bury a relative at this hour. Besides, that part of the graveyard was reserved for the deceased in war, as somebody pointed out. While Nato sat down for a summit to decide what to do about the war in Ukraine, and Vladimir Putin negotiated a ceasefire deal with Kiev, Russian society recoiled from reports about secret funerals of soldiers killed in Ukraine: missing sons, calls from husbands begging their wives to save them from ­battle, bodies with missing limbs arriving in coffins to Nizhny Novgorod, Orenburg, Pskov, Murmansk, Dagestan and other regions of Russia. 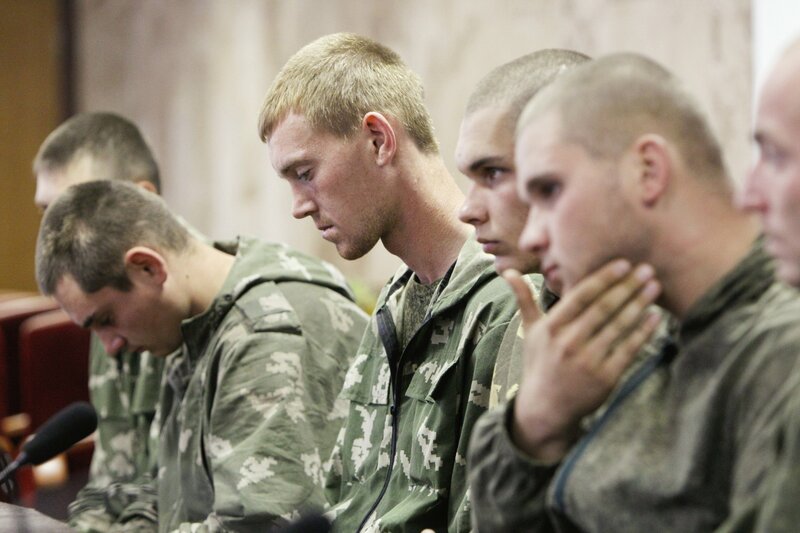 The death toll for Russian soldiers jumped to more than 200 soldiers in a few days, between August 12th and September 2nd, in a war that was, officially, not happening. Russian army wives have a special term for dead soldiers returning home from the front lines in zinc coffins: they are called “cargo 200” – a phrase that has echoed like a curse to a Russian ear since the days that a tide of zinc packages came in from Afghanistan during the Soviet war of 1980s. The secrecy around their husbands’ deployments “was like a trap created by a schizophrenic”, one of the Kostroma paratroopers’ wives says. What mattered to the paratrooper most were the men on his left and right, his children and wife waiting for him in his hometown of Kostroma, 320km north of Moscow. Among his fellow men, he says, there was little understanding of Putin’s idea to establish Novorossiya, or New Russia, as a separatist state in eastern Ukraine. Who was Russia’s main enemy? That answer seemed instantly ready: “America.” In a few days on the front lines under constant fire, the Kostroma paratrooper “dried up down to the bones”, not from the lack of food but from the constant fear of death, he said, that he had never experienced before. Earlier that day, his regiment was brought back to the base in Rostov region, to wash in the banya, or Russian steam bath, and have one night of solid sleep. The soldiers had their first chance for a break from battle, for a quick chat with families since they crossed the Ukrainian border on August 18th. So as not to be identified as Russian regular forces, commanders ordered the paratroopers to change into the Western military surplus desert camouflage their wives had to buy for them, with their own money. Nobody asked the servicemen to sign any additional papers, though current contracts did not stipulate deployment to a foreign state. “I never volunteered for this; but any attempts to quit would be useless – they are sending us back to the meat grinder tomorrow; if somebody told me earlier about the truth, none of us would have signed up for $1,000 a month to get fried alive in Ukraine,” says the officer in his thirties, who requested his identity be concealed. The use of misleading uniforms to sneak into foreign territory for a secret operation does not surprise Russian military experts. One Moscow-based army analyst recalled the earlier “masquerades” or false flag operations under Soviet military doctrine, sending Soviet and Russian commandos dressed as locals in Afghanistan and in Chechnya: “Our forces conducted secret operations in the Middle East and in Africa this way. Putin’s strategy is not unique,” says the analyst who declined to be named. While the Russian leaders stuck to their denials, mobile phone chats and social media forums fill up with images of ­the country's artillery and “Grad rocket” launchers rolling across Ukrainian border. 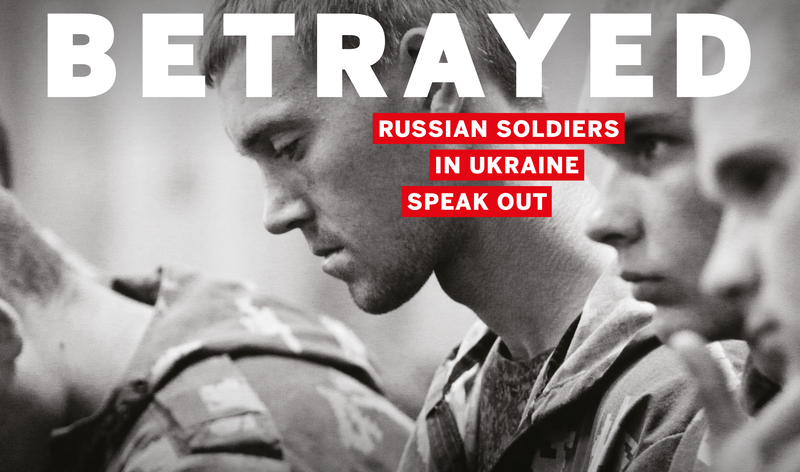 Russian internet users across the country watched videos of army mothers and wives covering their wet-with-tears faces with both hands, begging Putin to free their loved ones “in God’s name”, as well as video interviews with soldiers captured by Ukrainian forces. Early each morning, paratroopers’ wives crowded on Nikitskaya Street outside the Airborne Division, waiting to hear more official explanations about their husbands “participating in military drills in Rostov”. The women spoke to their husbands on the phone and knew the truth. “My boy asked me to go to church and light candles for his survival, as they were herded back to Ukraine,” one of the terrified wives, Veronika Tsiruyeva, says. The invasion of Ukraine has been happening in slow motion since spring. On the afternoon of April 16th, professional-looking militia in green uniforms surrounded the perimeter of the administration building on the Square of October Revolution in Slaviansk, a city in eastern Ukraine. “We are ‘polite green men’, born in the USSR, just the same as in Crimea,” one of them told me. 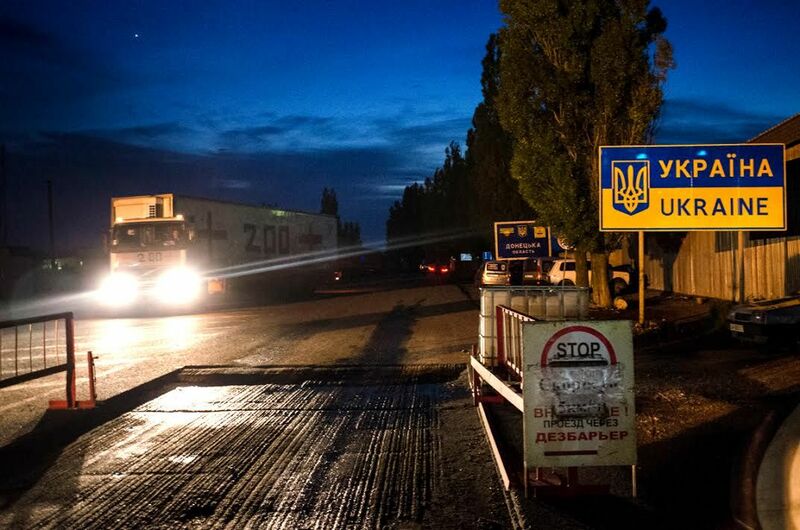 A few days later, rebels occupied one more Ukrainian town, Horlivka. Their commander Anatoly Starostin described what “a great relief” it was to have support from Russian special forces. 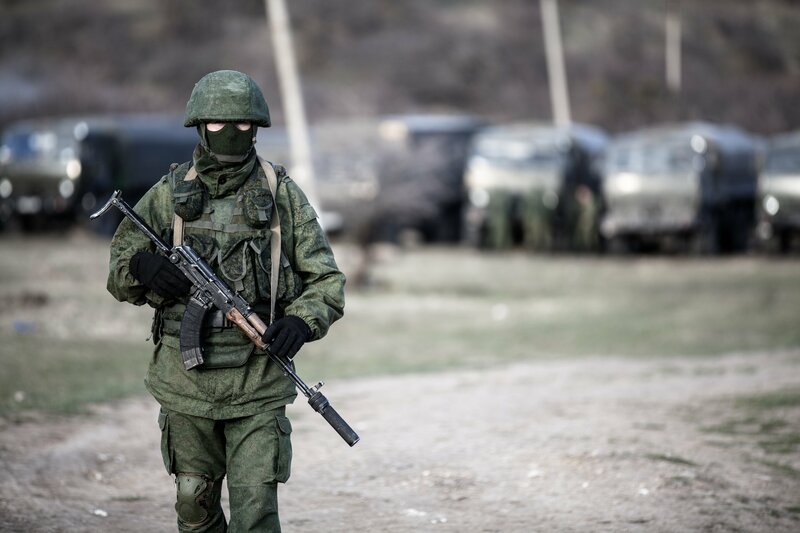 “They are about 60 top-class professionals, unspeakably well-trained,” Starostin said of the “polite green men”. Russian special forces took over television transmitters, so locals would watch only Russian state channels covering the Kremlin’s official line. 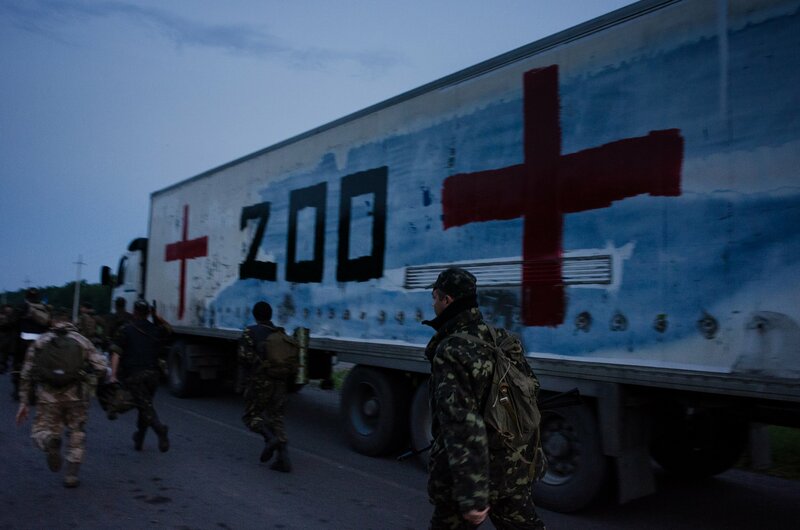 It wasn’t long before the first truck with a large, crookedly written “200” on its side rolled into Russia on June 2nd, bringing back 31 bodies of Russian “volunteer” soldiers, mostly in their late 30s to early 40s. Afterwards, members of the press in the courtyard of Kirovsky Hospital’s morgue in Donetsk, watched doctors and rebels whispering over the wooden coffins: “Let them receive them on the other side and figure out where to send the refrigerator,” they muttered, clueless about the final destination. No Russian state channels mentioned the 31 red coffins making their way home across the sunflower fields; it took days for families of “the volunteers” to break through the wall of secrecy and find the frozen bodies of their men. This month, Russian commanders planned to demonstrate unprecedented nuclear forces exercises involving Supersonic MiG-31 fighter-interceptors and Su-24MR reconnaissance aircrafts. The Kremlin warned the west against welcoming Ukraine to join Nato, as the alliance began their drills on Ukraine’s western border. As the sides of the conflict sat down for talks, Putin’s security advisers changed the military doctrine, lowering Russia’s threshold for using nuclear weapons. As mainstream television channels pumped the anti-Americanism muscle on a daily basis, commanders drilled soldiers to fight the war against America and Nato. Meantime, back in Sudislavskoye village, news about the secret burial travelled fast, from door to door until the entire neighbourhood spoke the truth: “The deceased man in the grave was Dmitry Kustov, a drafted soldier, serving in the army since last year,” Lyudmila says. For some reason wholly unknown to his family, Dima ended up fighting a war in a foreign country, Ukraine, in late July. “He hadn’t lived long enough,” locals say of the 20-year-old soldier quietly buried in the twilight.